Amber ales are yet another gift to the beer world from the American craft beer scene, and being a young American invention (cue Bowie soundtrack) it's a style with no history in European beer culture. In the early days of American craft brewing, a short three decades ago, amber was merely a description of the colour, intended to be a helping hand to early craft beer drinkers who might be unsure as to exactly what they were ordering. Classic pale ales, as drinkers are now aware, are not as pale as the name would suggest, being anywhere from a rich gold to a burnished amber. Many consumers took the name pale to mean the very pale straw colour of European lagers. To avoid any confusion, many American pale ales were labelled as amber. Over the years, amber ale became a style in its own right, with brewers creating a new class of beer to bridge the gap between American Pale and Brown ales. Today, amber ales still sit on the mid point of the American ale spectrum with a certain amount of overlap on either side: some ambers are light enough to resemble a particularly rusty pale ale and bigger ambers stray close to brown town. A good amber ale typically presents as a maltier version of a pale ale. Hops are typically American with citrus, pine, and sometimes tropical fruit flavours and aromas to the fore. Sweet toffee and caramel notes are achieved through the use of speciality malts such as caramel and crystal. This also gives the beer its eponymous hue and imparts a fuller mouthfeel than that of its paler brethren. Darker malts such as roasted or chocolate are avoided as this will bring the beer closer to a brown ale. Because of the malt sweetness, these beers can support quite significant hop character though this shouldn't completely steal the limelight from the malt. American red ales (essentially big, ruddy amber ales) again display the typical American characteristics of minimal yeast character due to clean American strains, high hop bitterness, flavour and aroma (again, citrus and pine), a big malty background and a luscious ruby colour due to careful malt selection. Again, a steady hand is vital with malt selection, too much and too dark will result in an ale that is decidedly brown. Irish red ales are a slightly different story. These are ales that are related to the malt-driven ales of Scotland and to a certain extent the brown ales of England. Irish reds are typically very low in hop flavour and aroma, much lower than English pales and bitters. Without the use of a time machine it is impossible to know exactly why the Scots and the Irish came to favour malty beers with low hop character but the reason might be purely geographical. Scotland and Ireland, with their legendary lack of sunshine, fall outside the latitudinal sweet spot for hop cultivation. Brewers lacking an abundance of locally grown hops would have had to rely on a potentially unreliable supply of imported hops. 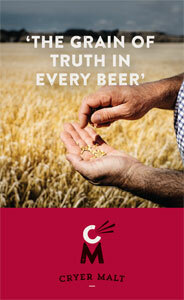 This may have been all that was needed for a tradition of malt-driven beers to develop. Irish red ales have low bitterness levels and generally no hop flavour to speak of. An initial malt sweetness often leads to a dry finish with some roasted malt character adding to the perceived bitterness. 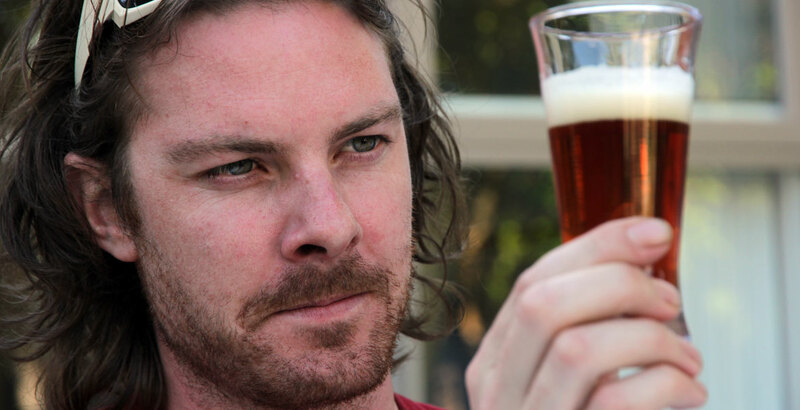 Certain Irish red ales are actually brewed as lagers, with the clean lager yeast further allowing the malt characteristics to take the spotlight. As with most things in the beer world these days, the spectrum of both red and amber ales has broadened – even over the past few years. We're seeing far more beers bearing tags such as India Red Ale as brewers create beers with the alcohol content and hopping regimes or IPAs or even double IPAs. Again, however, the colour and balance between hops and malt outline above, should be central to the best beers in these styles. Thanks once again to our resident Beer Scholar Chris Brady for this write up, especially as he was unable to attend the weekend’s tasting. You can follow Chris, who is also a brewer at Holgate, on Twitter. The results of the related tasting are here. It featured a fairly loose collection of beers, as we’d initially thought just focusing on Reds or Ambers would mean there were too few to choose from. As it was, we had such a swag that we ended up leaving out Irish / English Reds – and Prof Pilsner took the odd beer out to keep the panel guessing and numbers manageable.